World bronze medallist Jorgensen beat Chinese fifth seed Tian Houwei 21-18, 21-13, while two-time Olympic champion Lin edged Japan’s Sho Sasaki 21-16, 20-22, 21-17. Tomorrow’s semi-finals see Jorgensen face fourth seed Chou Tien-chen of Chinese Taipei, who beat Hong Kong’s Ng Ka Long Angus 21-16, 14-21, 21-14, and Lin meet South Korean eighth seed Son Wan Ho, a 21-11, 21-12 victor at the expense of Hong Kong’s Wei Nan. In the women’s singles, Japanese fifth seed Nozomi Okuhara triumphed 21-11, 21-18 against third ranked Sung Ji-hyun of South Korea to set up a last-four clash with reigning Olympic champion Li Xuerui. China’s Li, the number two seed, defeated Japan’s Yui Hashimoto 21-11, 18-21, 21-14. The other semi-final pits Li’s compatriot Wang Shixian, a 21-16, 21-18 winner over India’s PV Sindhu, against Japan’s Akane Yamaguchi, who saw off Denmark’s Line Kjaersfeldt 21-15, 13-21, 21-16. The top seeds in the men’s doubles, women’s doubles and mixed doubles all won today to reach the penultimate round of their respective competitions. 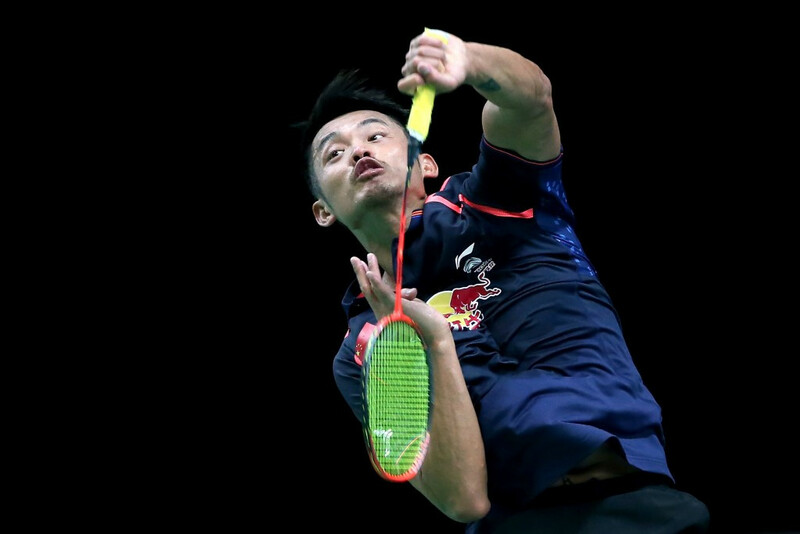 Leading men’s doubles pairing Lee Yong Dae and Yoo Yeon Seong beat China’s Liu Xiaolong and Qiu Zihan, while fellow South Koreans Ko Sung-hyun and Kim Ha-na cruised to a 21-10, 21-10 success against Russia’s Vitalij Durkin and Nina Vislova in the mixed doubles. Indonesia’s Nitya Krishinda Maheswari and Greysia Polii, the highest ranked women’s doubles duo, overcame Bulgarian sisters Gabriela and Stefani Stoeva 21-17, 21-10. Action at the German Open, which is a BWF Gold Grand Prix event, is due to conclude on Sunday (March 6).